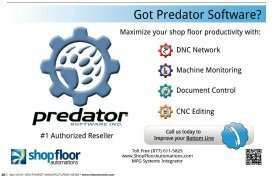 Shop Floor Automations is a proud reseller of Predator Software, year after year. We took out an ad in the April 2015 Southwest Manufacturing News talking about the many solutions this software can give your shop floor. As we roll out our new office in Houston Texas, please see what we have to offer. See more details about our new offices. About Shop Floor Automations (SFA): Founded back in 1998, SFA started as a small company focused on distributing the Predator Software product line to the San Diego and Los Angeles markets of California. SFA has been ranked #1 in Predator Software Sales, Service and Support since 1999.